All Church When we decide to follow Jesus, our old selves are left behind, and we are made new and alive! 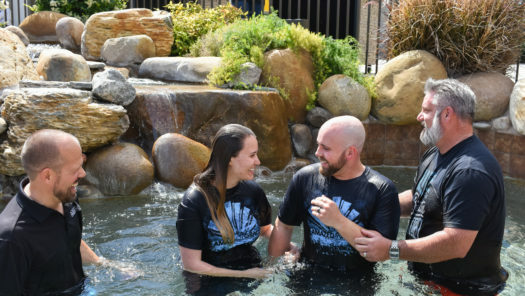 Also, being baptized is a public declaration that you are different – you are following Jesus now and are on a journey of change. Sign up here. Baptism Sunday happens every last Sunday of the month.